With a variety of pass options, you can select the pass that best suits your business needs! Whether it’s getting ahead of industry trends, meeting new suppliers, networking with your peers or all of the above, Catersource has the badge for you. 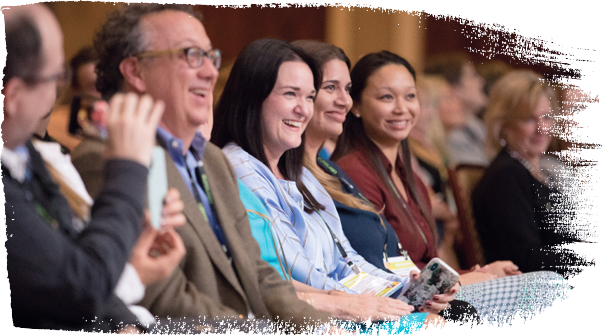 Register three or more people from the same company for select Catersource 2019 passes and save $100 per person for each of the passes included in your group. To register using the group registration discount all passes must be made in the same transaction. To add to an existing group, email [email protected]. More Convenience. More Networking. Upgrade to the Connect Pass! Make the most of your time onsite (and save a few extra dollars) with the upgraded Connect Pass! Catersource Conference and Art of Catering Food delegates can purchase this upgraded pass which includes express registration as well as access to the Sparks Awards Gala - the not-to-be-missed networking event of the year - and the Sparks Awards After Party. Sign up today for the catering event of the year!